Some of the world’s biggest talents will be on show when Arsenal and Manchester City face each other in the Carabao Cup final on Sunday, particularly in attack, but the 4.30pm kickoff at Wembley could well be decided by the referee – or, more accurately, one side’s ability to exploit his style of officiating. Craig Pawson has been appointed to take charge of the contest that will end with the first trophy of the season and the 38-year-old is certainly amongst English football’s stricter referees. 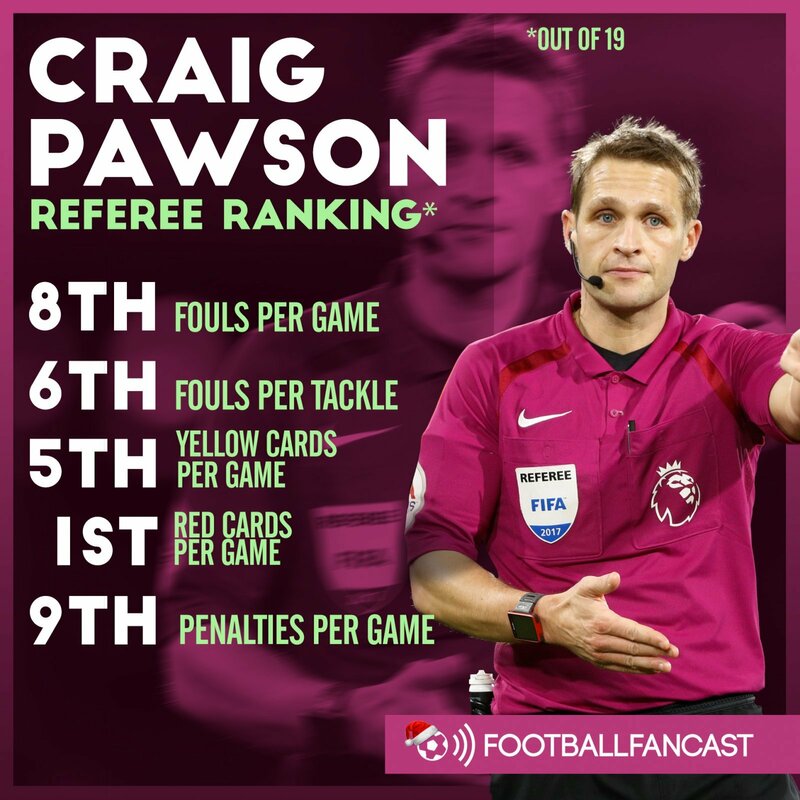 In fact, from the 19 to oversee games in the Premier League this season, Pawson ranks in the top eight for fouls per game and fouls per tackle, while fifth for yellow cards per game and perhaps most worryingly of all for Arsenal and City, first for red cards. On the surface, that spells far worse news for Arsenal than the Citizens. The Gunners will be expected to do the lion’s share of defending on Sunday in a bid to repel City’s relentless attack, and that will require the kind of physical challenges Pawson’s returns this season suggest could easily result in bookings and perhaps even red cards. Tellingly too, City have committed the fewest fouls of any side in the Premier League this season, while Arsenal rank 12th throughout the division with 10.2 per match – that’s a quite significant margin given how card-happy Pawson has been. But the north Londoners can turn the fact Pawson has proved himself a martinet into a vital positive for them on Sunday, especially bearing in mind the quality and philosophy of their opposition. Pep Guardiola’s side like to keep the ball in play as much as possible as their meticulous, relentless passing game grinds down their opponents, but Pawson’s preference for awarding fouls rather than letting the game flow can be exploited by Arsenal. Committing fouls not only allows them to disrupt City’s rhythm, but perhaps more crucially creates an extra few seconds to catch their breath and reorganise rather than facing recurring waves of attacks from Sunday’s favourites. Inevitably though, there’s a delicate balancing act to be had here; too many fouls or fouls that are too aggressive will clearly lead to yellow cards with Pawson in charge. In a final where Arsenal just can’t afford to go down to ten men, even bookings are a distinct disadvantage. Nonetheless, it offers Arsenal something of a strategy, but the Gunners will have to be street-smart about its execution, managing both Pawson and the game correctly. Unfortunately, we haven’t seen much of that from this Arsenal team down the years – but with a trophy on the line and a superior side standing in their way, perhaps we’ll see a different and more pragmatic Arsenal this weekend.